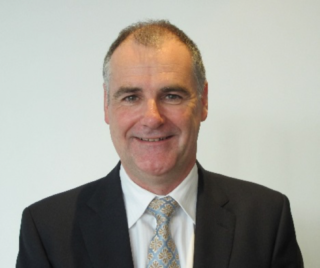 Professor Chris Moran joined Curtin University on 1 August 2016 as the Deputy Vice-Chancellor, Research. From 2007 to 2016 Professor Moran was Professor and Director, Sustainable Minerals Institute (SMI) at The University of Queensland (UQ). The Institute comprises seven discipline-based research centres and is one of the largest entities of its kind in the world. Previously, Professor Moran was Founding Director, Centre for Coal Seam Gas (UQ) and Founding Director, Centre for Water in the Minerals Industry (UQ). Across a 16 year career with CSIRO, he held a range of leadership roles, including heading the team that developed the Water for a Healthy Country Flagship Program. Professor Moran has been a Board Member of five Cooperative Research Centres. In the International domain, he was Director of the International Mining for Development Centre and established an International Centre of Excellence for the mining industry in Chile. He holds a bachelor of Agricultural Sciences (with Honours) and a PhD from the University of Sydney and has a strong international and national reputation for his research and expertise in soil science (digital image processing), natural resources (spatial modelling and statistics) and water management. Professor Moran has published widely in scientific literature and the broader media.